Happy Monday everyone! Surprisingly it's a little humid for the day despite that it's December. While people are freezing on the other side of the world, I'm sweating away while creating this post. Climate change is getting scarier as time passes by. 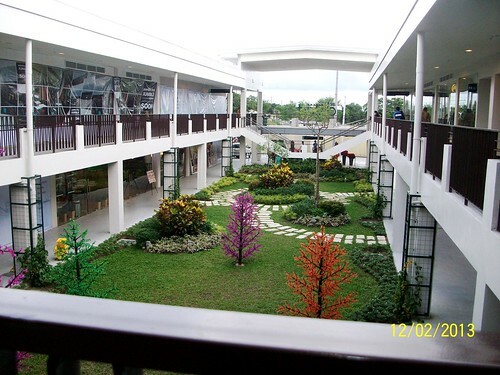 Anyways, some of you might have read the post I created last January about the first Ayala Mall in Cavite province which is The District Imus. 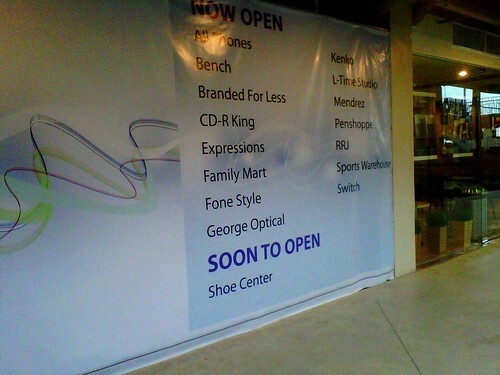 Well now, they have another store opened and this time it's for the people of Dasmariñas. 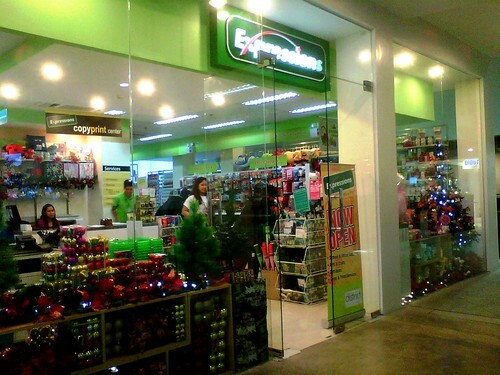 It formally opened last November 22 but I only get to drop by last December 2. It's along Paliparan road and you will never miss it if you're coming from Daang Hari-Molino as you will see first on your left the Ayala Settings subdivision then right after is the District Dasmariñas (you will need to take a jeepney going to Paliparan). If you're coming from Paliparan, you will see Dasmariñas Cavite on your right (you can take a jeepney going to Baclaran, Zapote or SM Southmall). 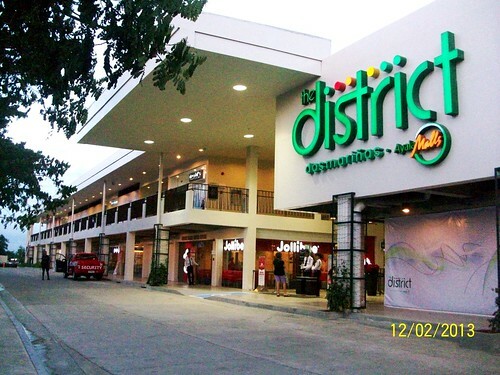 Compared to The District Imus, this mall is a little smaller. There's no grocery around the area unlike in District Imus where right next to it sits Metro Department Store and Supermarket. Let's hope that next year they will improve the place and expand it. 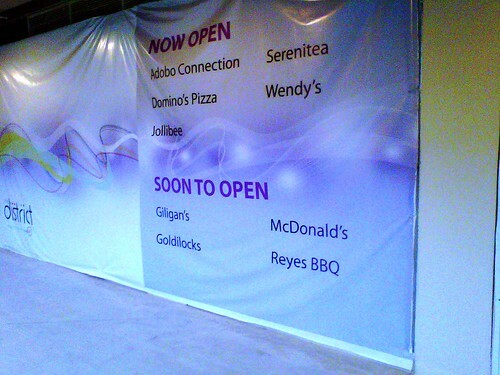 I would want to have an Ayala cinema near our area. You heard me right, District Dasmariñas is much nearer to my residence than the one in Imus (I only need to take one jeepney ride and pay the minimum fare). 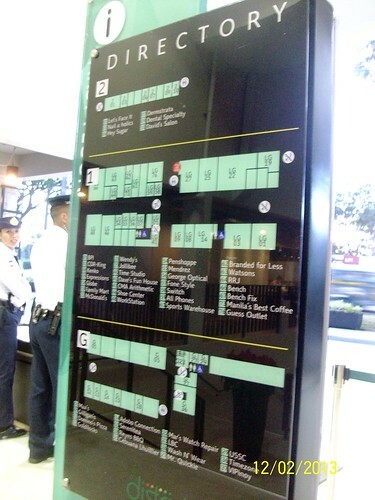 This is the first part of the directory. The other part is on the back of this directory and I wasn't able to take a picture as I'm afraid that the guard will scold me (see the lady guard looking at me and wondering what the heck I'm doing). From the name itself it's the hall of the mall and it's open. It's not enclosed in an aircondition environment which is same as the Music Hall of SM MOA but of course, this one is smaller. 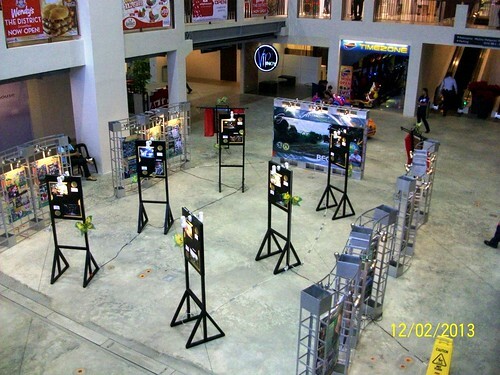 During this time that I made a visit of the mall, there was an ongoing exhibit about the city of Dasmariñas. The picture and names of the mayors who took over the city were on display. Yesterday, Dasmariñas Bayan celebrated the feast of Immaculate Concepcion. This is my favorite part of the mall as it's relaxing as you look on the path walk and the greenery of the grass with various plants spread on the garden. In the spirit of Christmas, they pit up Christmas lights in the artificial trees. I bet this area looks awesome at night. Let's see some of the shops/stores inside this mall. Shall we? 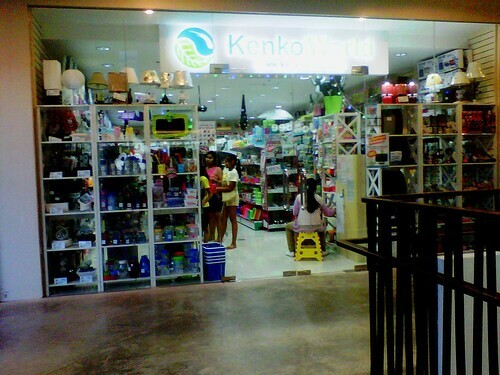 This is the first time I heard about this shop. Either I'm outdated or this is actually a new shop to watch out for. I didn't go inside but it seems they're offering knick knacks for home. Finally an Expressions branch near me! Immediately I went inside and of course, got myself five decorative tapes that I will add to my growing collection. I will make a post about Expressions this month and the other things that you can do with decorative tapes. It's the best time for Wendy's! Timezone! Daytona here I come! It's been a long time since I played in arcade. 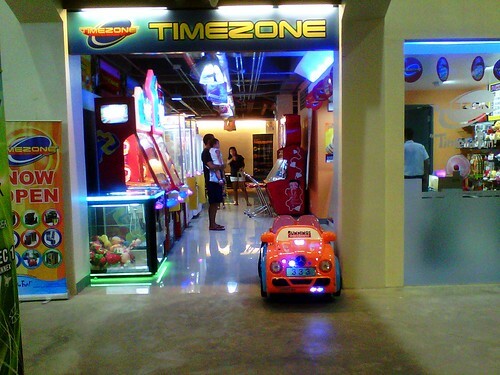 During my early 20s whenever me and my husband will date, we don't miss a chance visiting Timezone. Either it's me playing in Daytona race or him playing Tekken. If you have any questions about the shops or stores in the mall, you can check out their concierge located at the second floor. You need to go inside the air conditioned part of the mall though which I know you'd be glad to do especially if comes summer time. Notice that majority of the stores are already open so those who are waiting for the other stores, be patient. 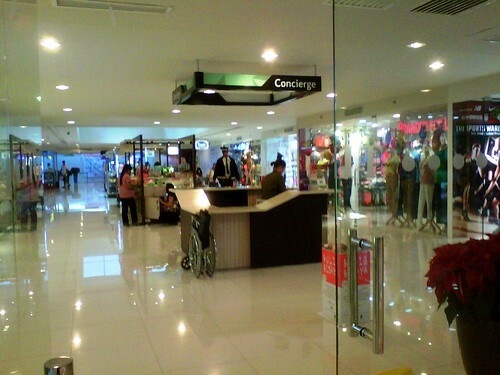 I'm sure by the first quarter of 2014, all of them will welcome their customers in their respective spots of the mall. 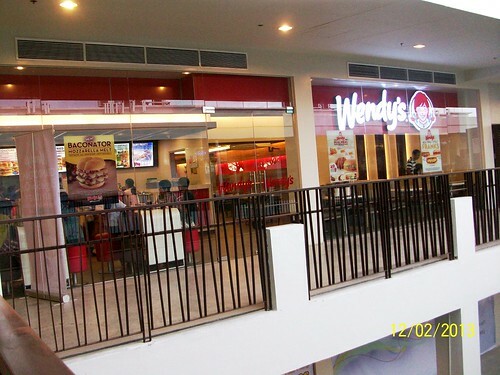 Thank you to Ayala company for bringing another mall in Cavite.